Tanita’s first BeRightBack experience is going to be hard to beat - but we love a challenge! For an explorer that claims she just ‘mooched’ around the city, she definitely packed a lot into her weekend away. From museums to street art via possibly the greatest pizza of all time, here’s Tanita’s Amsterdam. "I’d describe myself as a bit of an impulse traveller - I get flights booked and worry about the rest later. Last year I jetted off to Vegas last minute (I’d love to tell you more about that trip, but you know what they say) and I also went on a spur-of-the-moment city break to Venice with my mum. I like keeping an eye on travel deals and startup news (yeah, I’m an early adopter) so when I found out about BeRightBack it ticked all my travel boxes: spontaneous, affordable and fun! I booked my first BeRightBack trip with my mate - we planned to open our envelopes at the same time, but then she accidentally opened hers first. Spoiler alert! I had a feeling we might be going to Amsterdam; it was a bit nerve wracking not knowing for sure - but it was really exciting, too. I’d say I’m a ‘live in the now’ sort of person, so booking a BeRightBack trip gave me an extra hit of holiday anticipation, instead of booking a trip and then kind of forgetting about it, like I have done in the past." Before we flew, we went into research mode: downloading apps and reading articles. The best thing we did was ask around for recommendations - travel tips from people you know are so much better than a generic guide book. 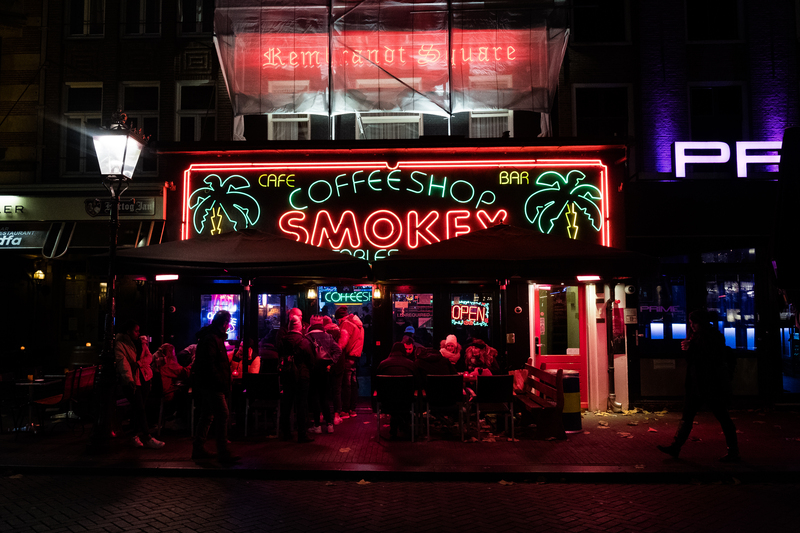 What I loved about Amsterdam was how easy it was to walk around - it’s not a massive city, but it’s packed with so much culture and cool things to do. You just need to keep an eye out and you’ll find awesome places to eat / drink / hang out and vape weed everywhere. One piece of advice - don’t bother with Uber, for some reason it’s super expensive and you can get everywhere by foot or local taxi. Also watch out for bikes. Amsterdam is a two wheeled city and I nearly got taken out by bikes several times! 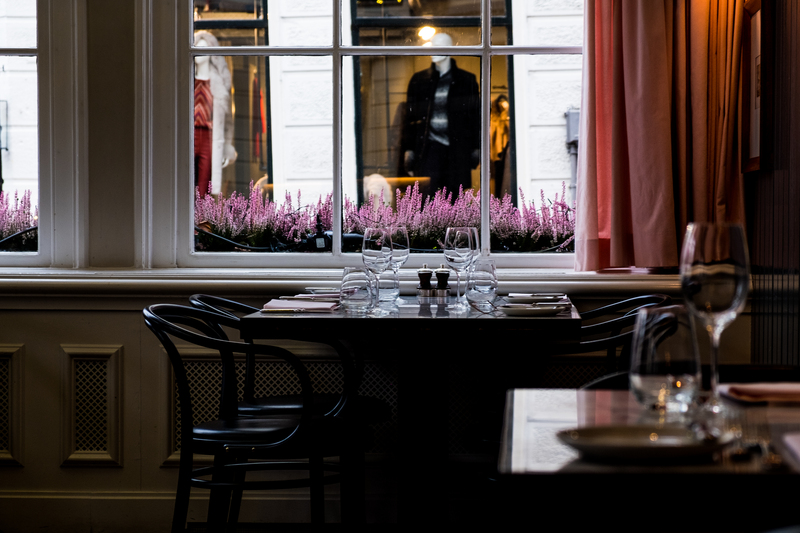 I booked Amsterdam with my best friend, and we ended up having an amazing mate date night when we accidentally wandered into Jansz, the most romantic restaurant in Amsterdam. We also had a legendary night at Pizza Isola Bella, where the pizza chefs epertly threw dough everywhere and we ended up doing shots of limoncello with our waiter - I ate one of the best pizzas I’ve ever had in my life. You’ve got to go to Pancakes Amsterdam for a classic Dutch treat, and our visit to the Bols Distillery was also a lot of fun - even before the three cocktails we had each. Taking advantage of the legal weed situation at The Bulldog and Barneys coffeeshop. After a couple of hours of erm.. ‘relaxation’ we managed to get totally lost in a MacDonalds with two different exits. Luckily we found the whole Bermuda / burger triangle incident hilarious, it was definitely a highlight - only in Amsterdam! 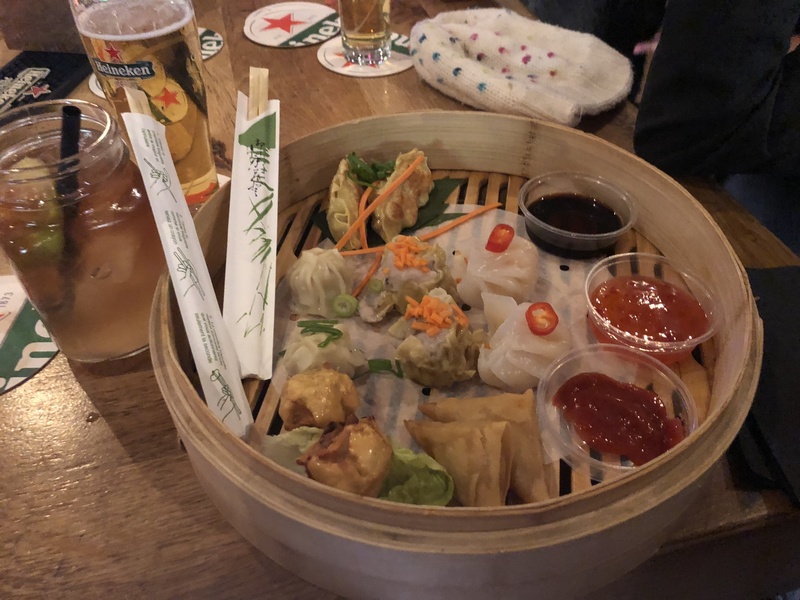 I’ve had some good street food before, but the Amsterdam Foodhallen is a next level experience. There’s a million different food stalls selling everything from sushi to burritos - it’s all really fresh and delicious - and the atmosphere is super lively. There’s live music in the evenings, and it’s a brilliant way to start or end the night. So many food pics for the gram. I definitely want to go back to Amsterdam - it’s one of the only places I’ve ever visited where I could imagine myself living there. It’s that chilled, and there’s so much creative stuff going on all the time which really appeals to me (I’m a graphic designer and a photographer). We went in winter, but I’d love to come back when it’s warm and sunny for a gin-themed boat tour along the canal.